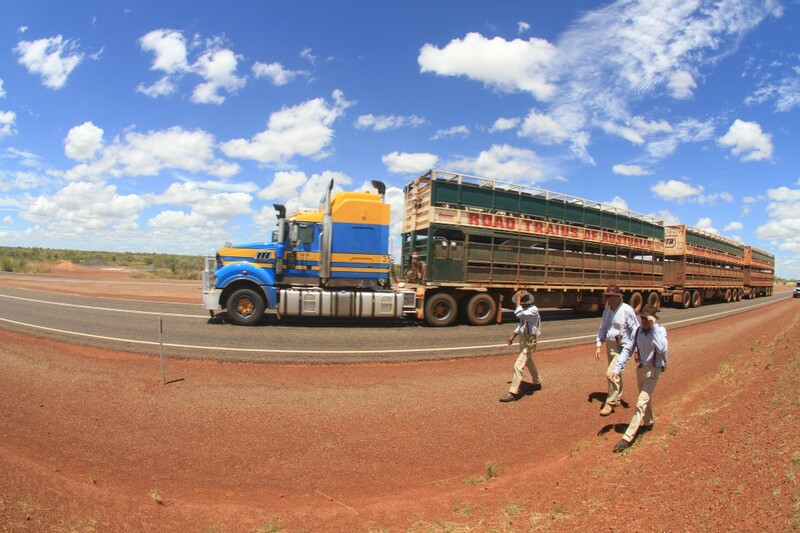 A road train passes The Borella Ride on the Stuart Highwyay. Photo by Luke Paterson. 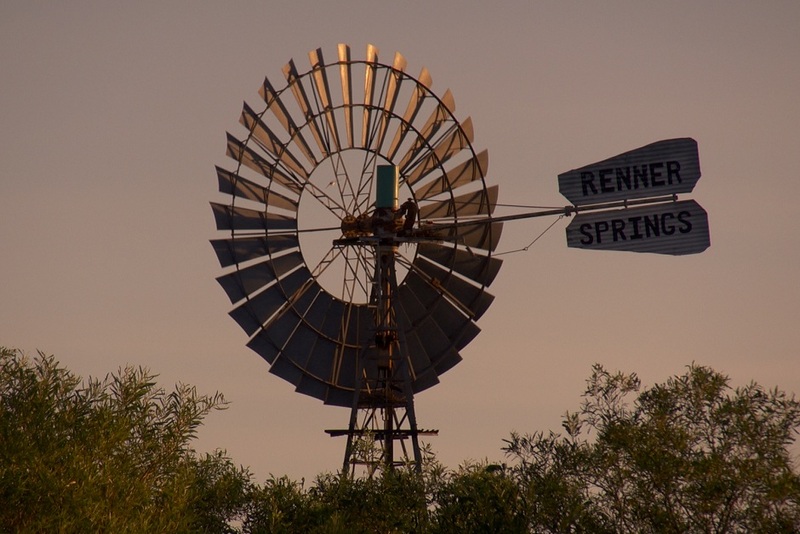 The Borella Ride walks to Renner Springs. 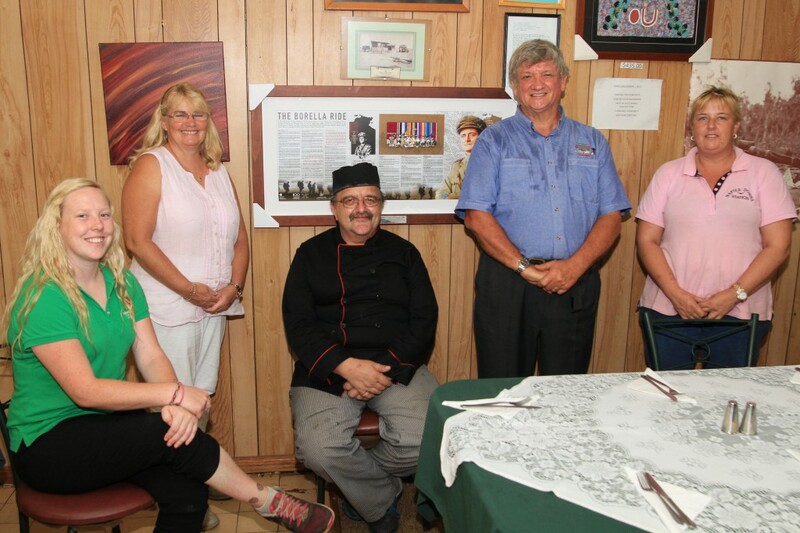 Renner Springs Roadhouse owners Alan and Christine Rendell on either side of the Borella VC memorial board, with staff members (from left); Alix Robinson, Arthur Young and Yvette Dayes. Photo by Luke Paterson. The Borella Ride begins the horseback leg of the journey. On the final day of walking The Borella Ride arrived in Renner Springs. In 1915, Albert Borella was able to borrow a horse from a friend in the Renner Springs area to continue his journey to Darwin. It would have been a welcome relief for tired feet, as it was for Richard, Tim and Charlie. During the evening stay the owners of Renner Springs Roadhouse, Alan and Christine Revell, were presented with a framed board, containing the replica medals of Albert Borella VC MM. 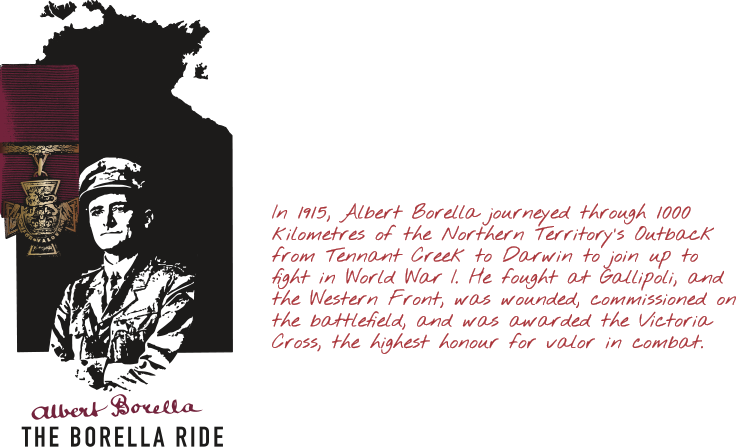 The frame describes the story of Albert Borella VC and was gifted to various locations along the Stuart Highway to ensure the legacy of his remarkable journey remains. 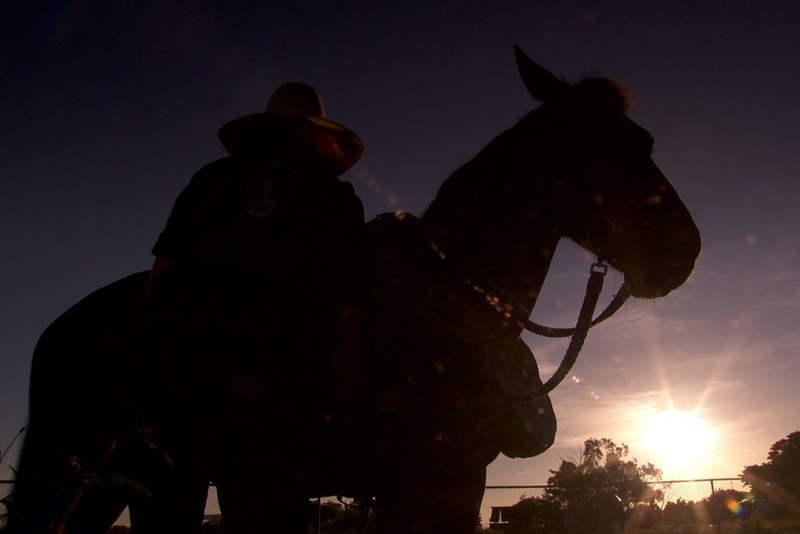 The next morning, The Borella Ride departed Renner Springs on horseback. Four Waler horses were specially trained for the journey to prepare them for the challenges of travelling along the Stuart Highway. On one of the Rider’s hips was a small piece of modern technology. The small two-way radio came to life. “Semi-trailer coming up from behind,” it said with a crackle. It was the second of two support vehicles, some two kilometres behind the Riders. “Got it,” came the reply from the closest support vehicle, maybe 300 metres back. The horse riders seemingly took no notice, but they all heard and kept careful control of their mounts. Within a few seconds the truck neared. “G’day Borella Riders,” said the truckie’s voice as he passed by slowly. The team grinned and waved as the semi-trailer gently accelerated away, and the horses calmly continued their journey toward Elliott.